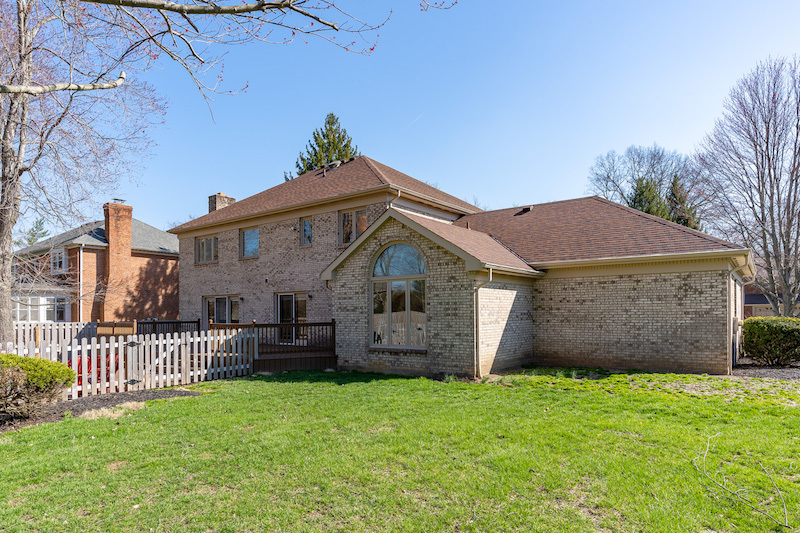 Welcome to 10293 Stablehand Dr, an updated 4 bedroom home complete with 3 full bathrooms and 2 half baths. 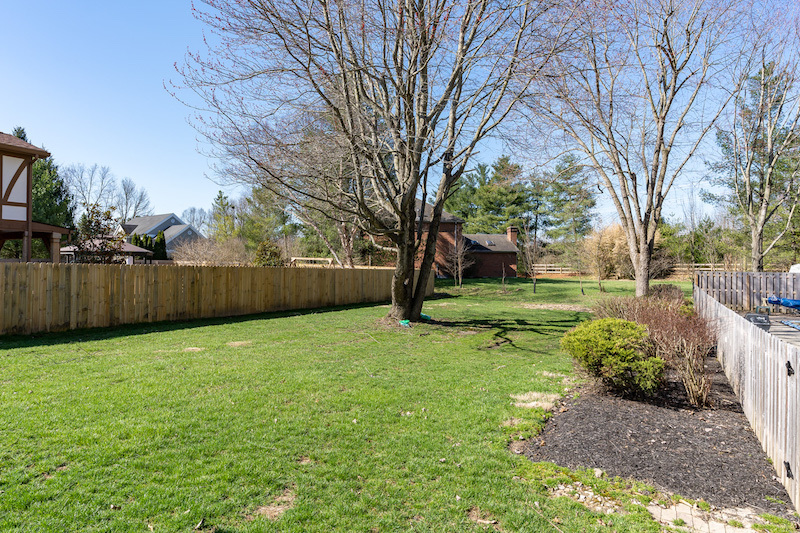 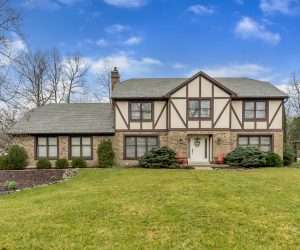 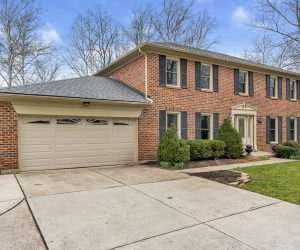 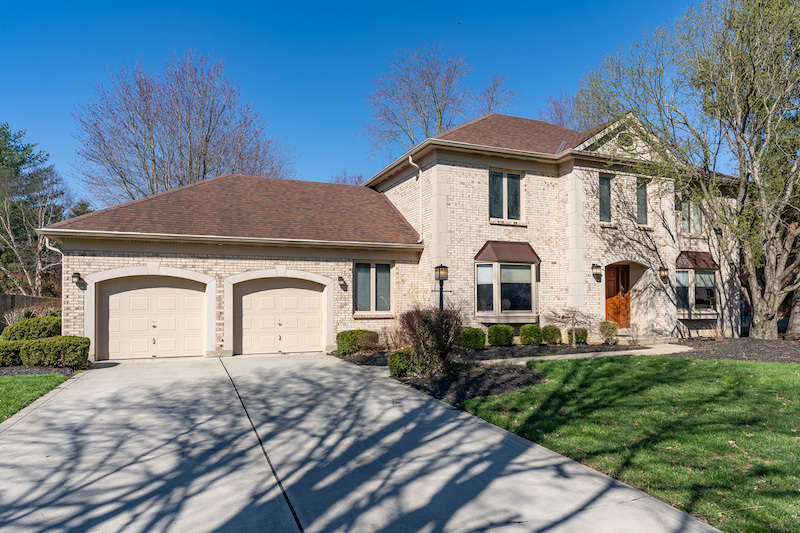 This home is ideally located in the Steeplechase Subdivision of Symmes Township within the Sycamore School District (Montgomery Elementary). 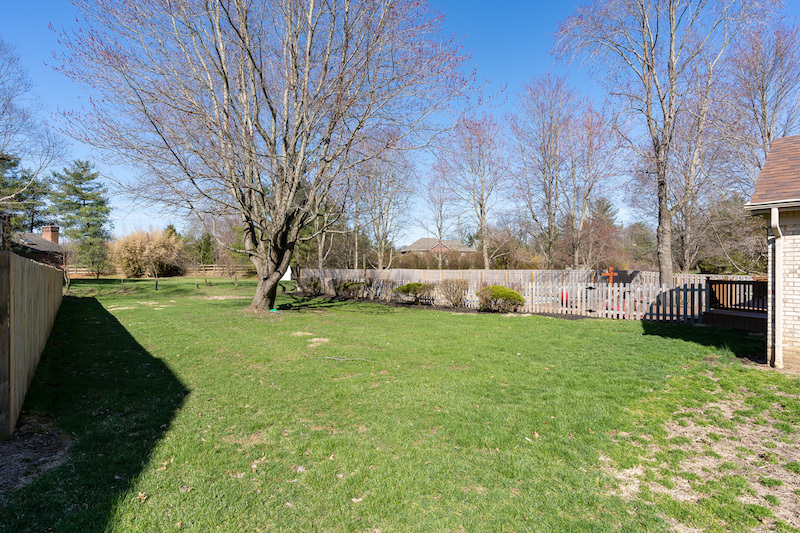 Enjoy resort living with your own backyard oasis ideal for year round outdoor entertaining. 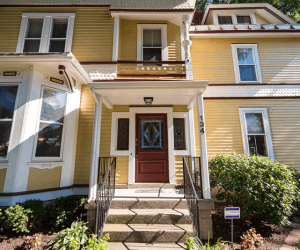 The beautifully landscaped front yard sets the tone for the interior of the house, filled with character like dentil and crown moldings. 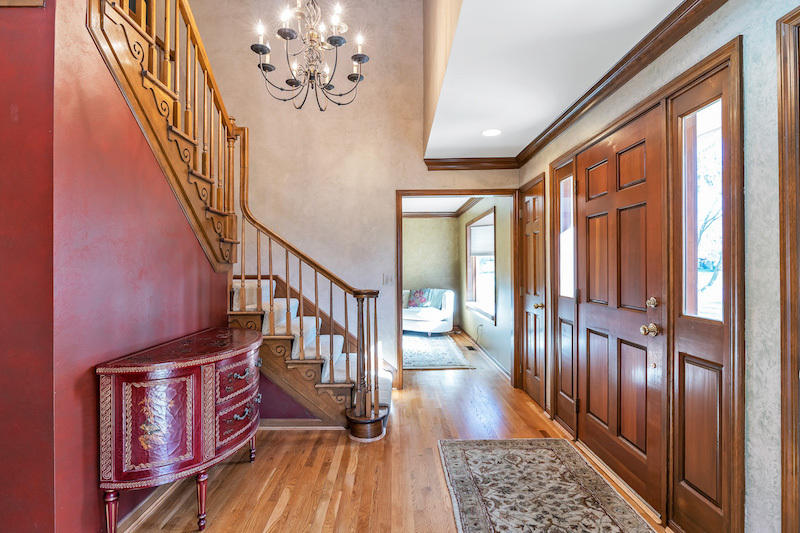 The open foyer greets you to the spacious home. 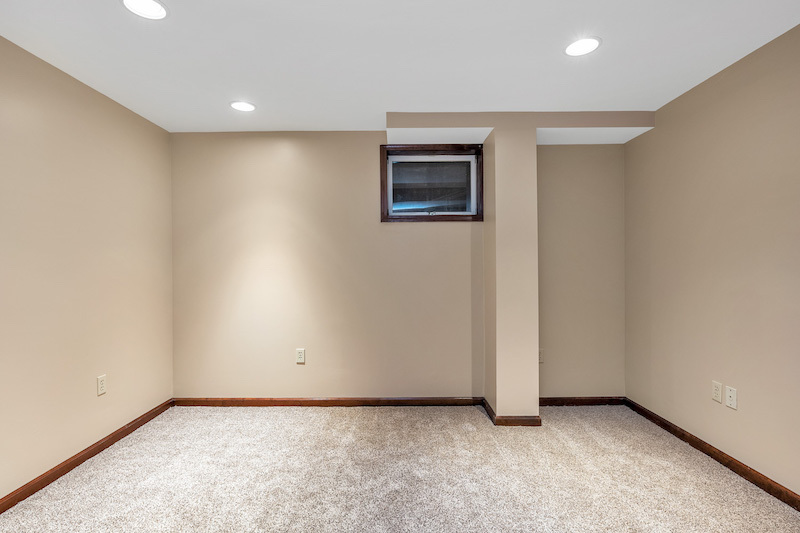 The room off the foyer at the front of the house is currently serving as a living room but can also double as a playroom. 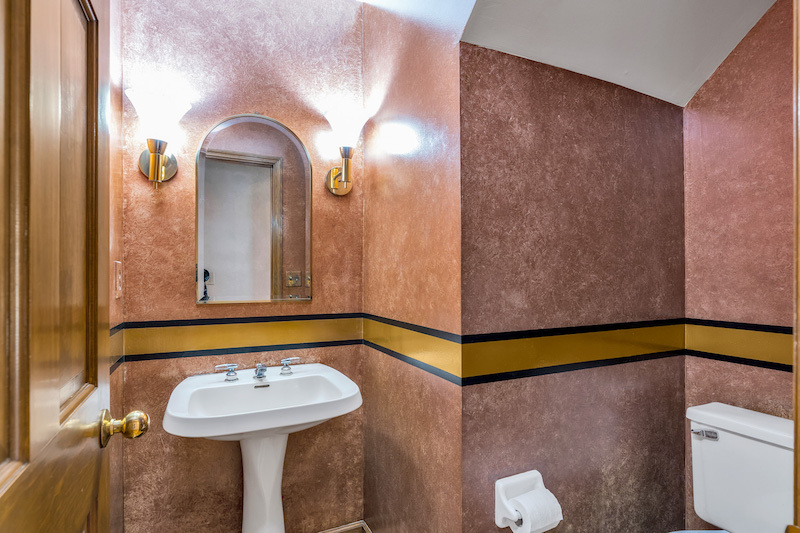 There are two separate half bathrooms on the main floor. 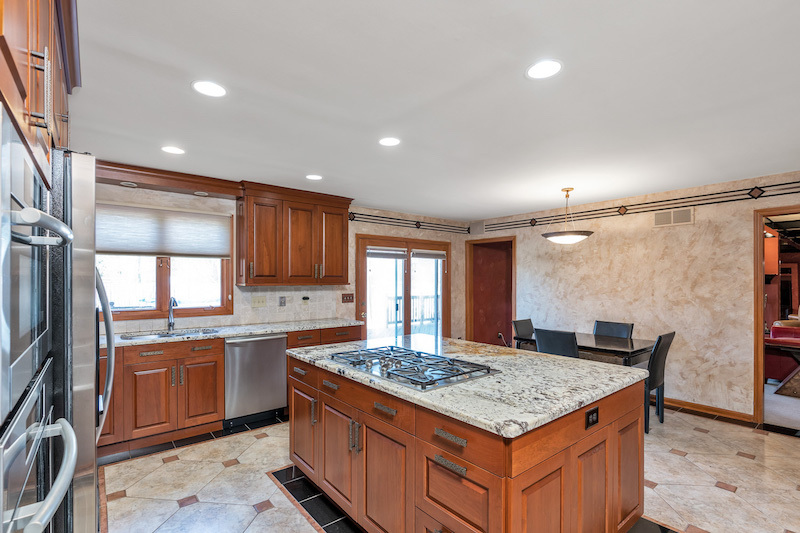 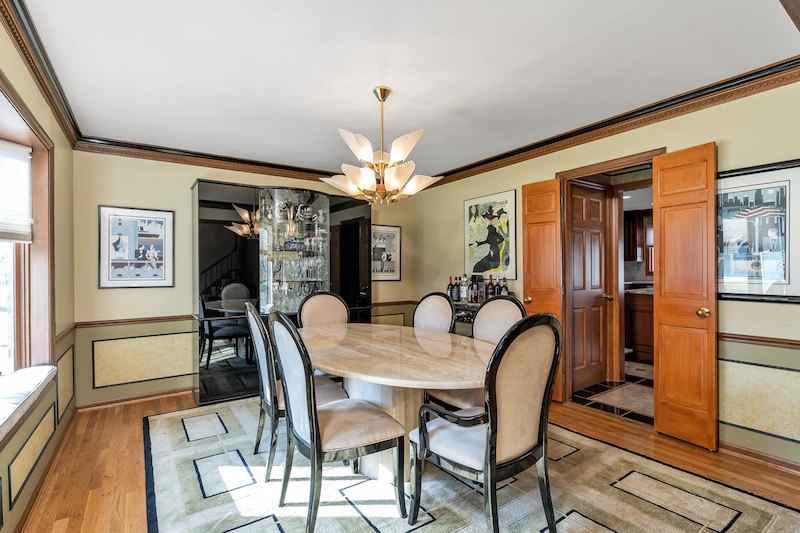 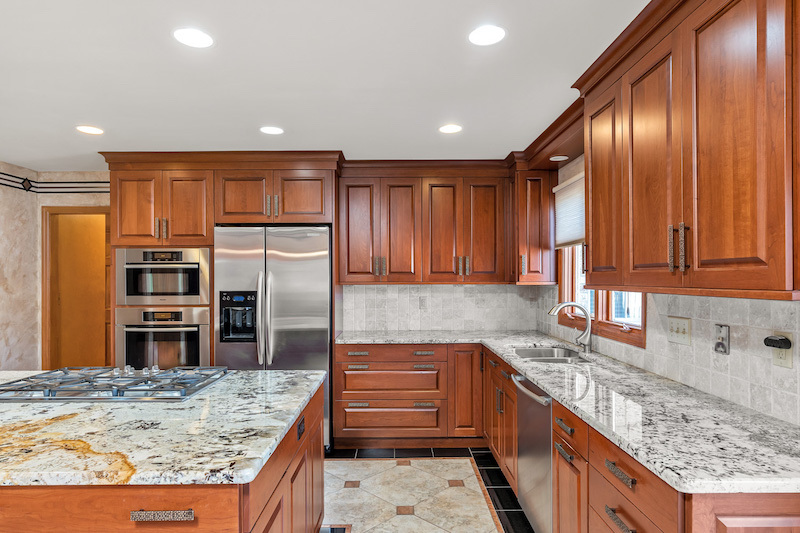 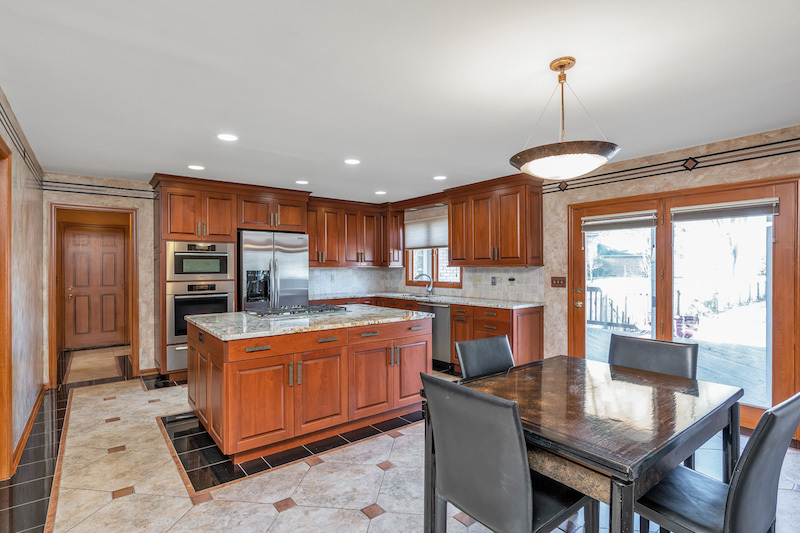 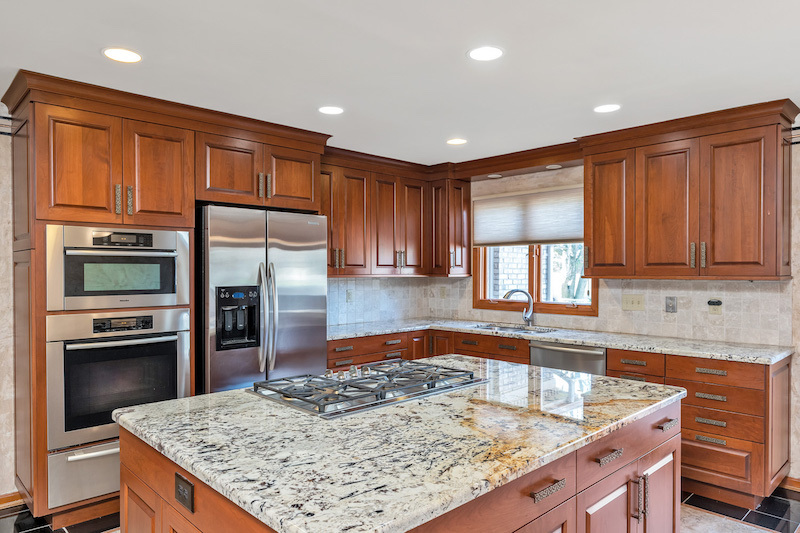 Enjoy entertaining in the spacious dining room off the other side of the foyer that flows into the gorgeous renovated by Auer chef’s kitchen overlooking the backyard. 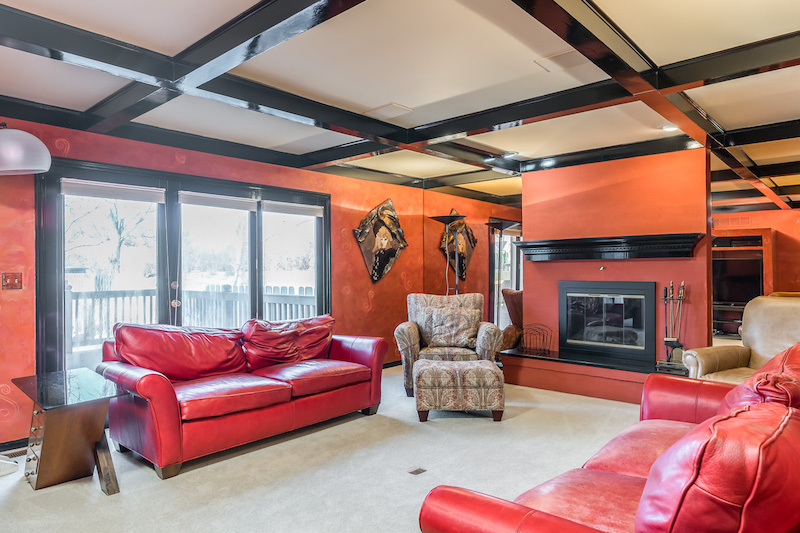 Off the kitchen is the family room that features a wood burning fireplace and also walks out to the backyard. 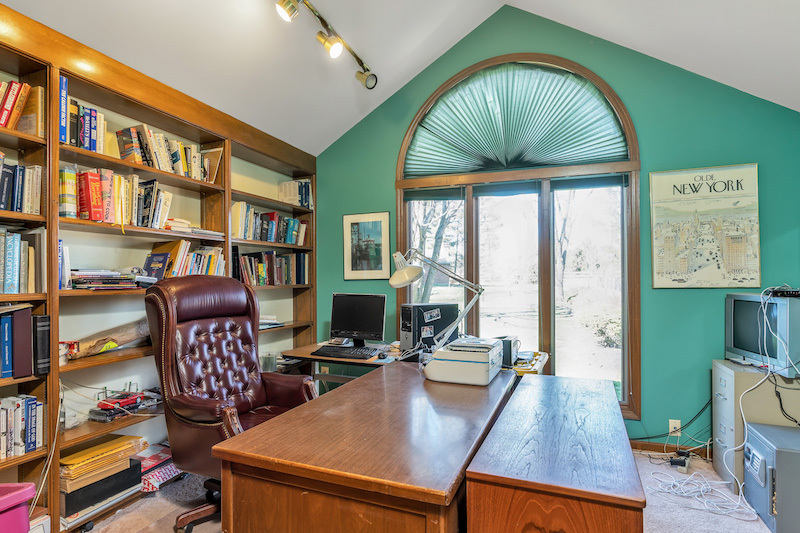 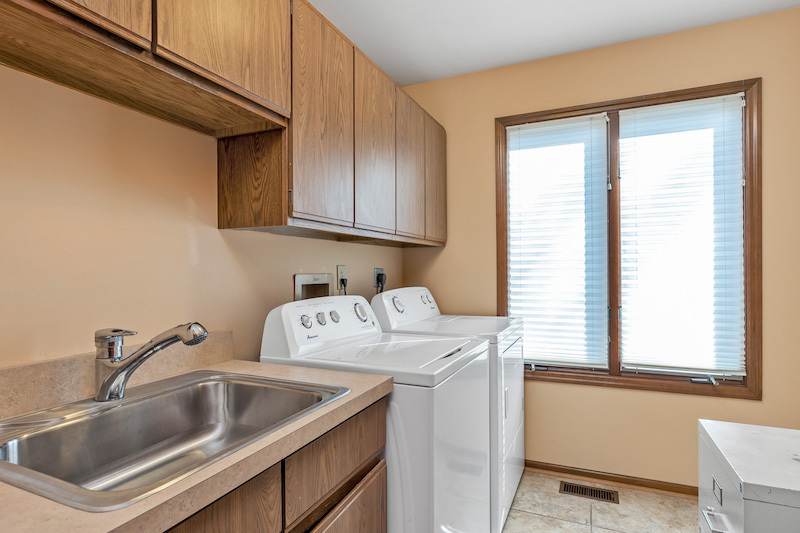 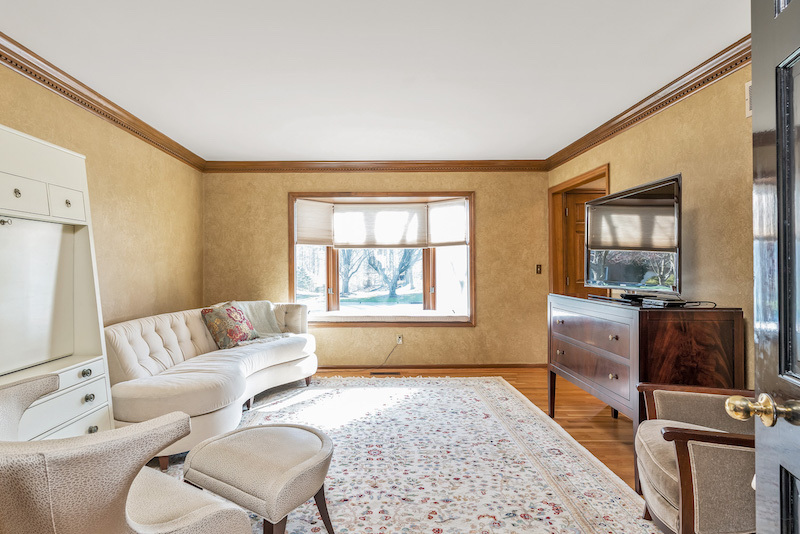 The main floor also has a dedicated laundry room off the back staircase and also features a study with built-in shelving, cathedral ceilings, and picture windows that provide a scenic view of the backyard. 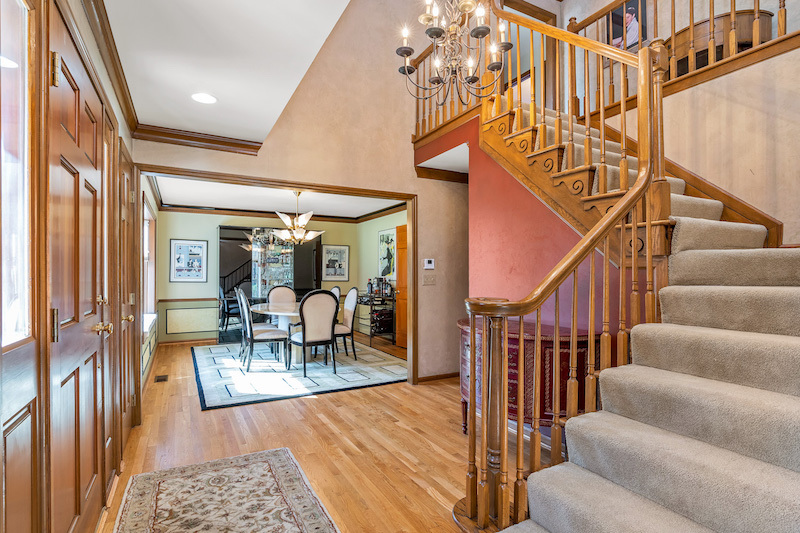 The four bedrooms are located on the second floor. 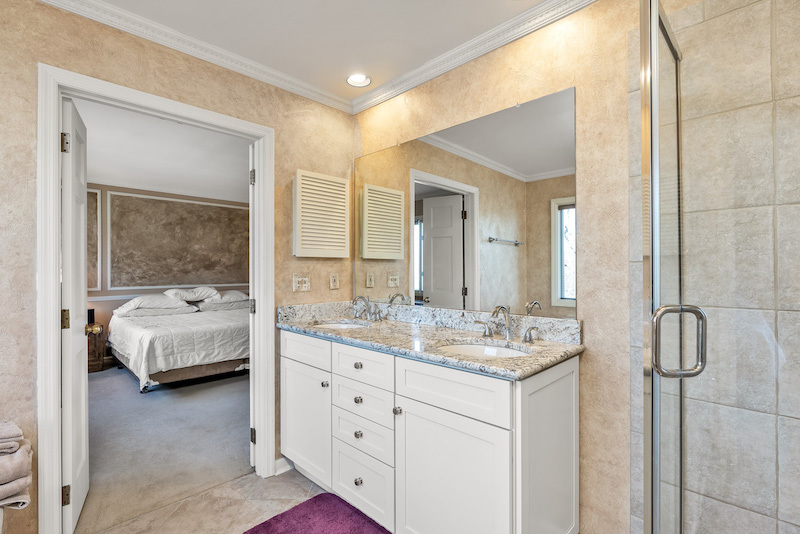 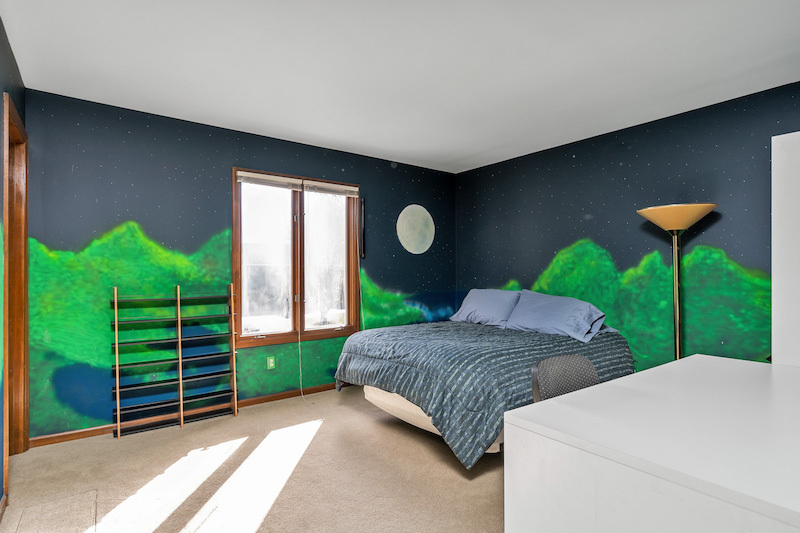 The sizable master bedroom has ample space for a sitting area as well as an ensuite bath with a spa tub, shower, double vanity, and walk in closet. 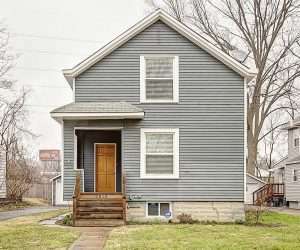 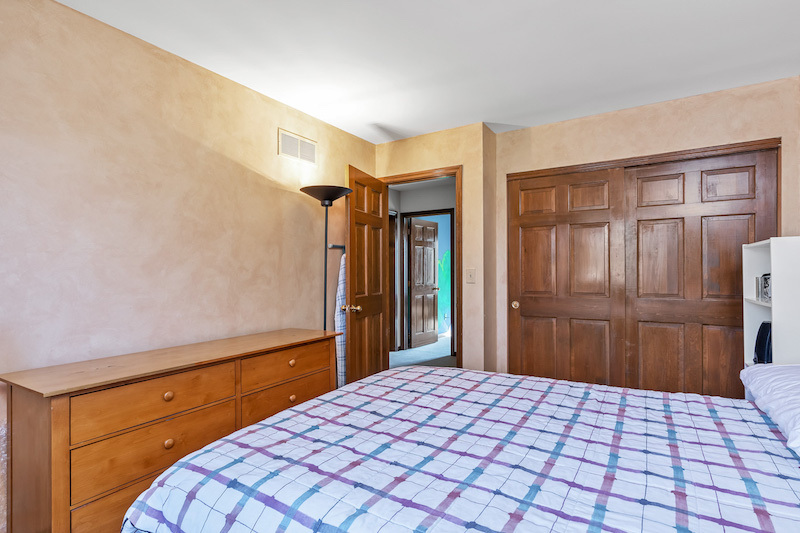 All three additional bedrooms are very spacious and have large closets. 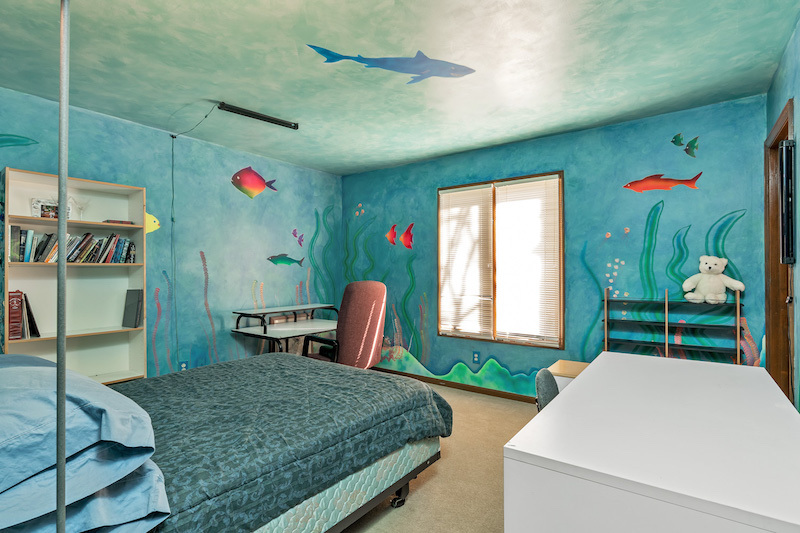 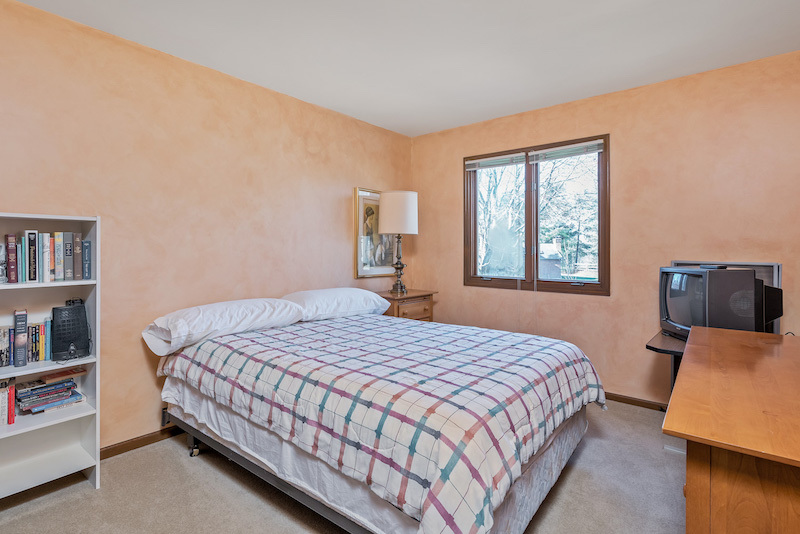 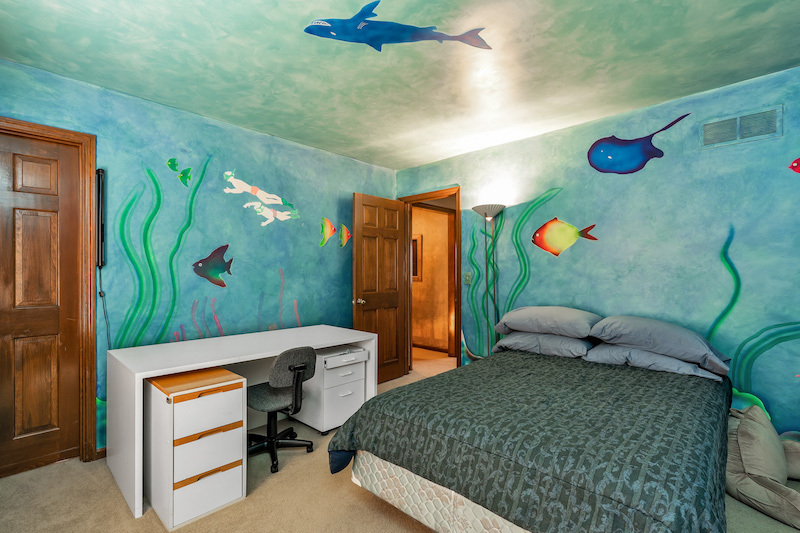 Two of the bedrooms have walk-in closets and the third has a large wall closet. 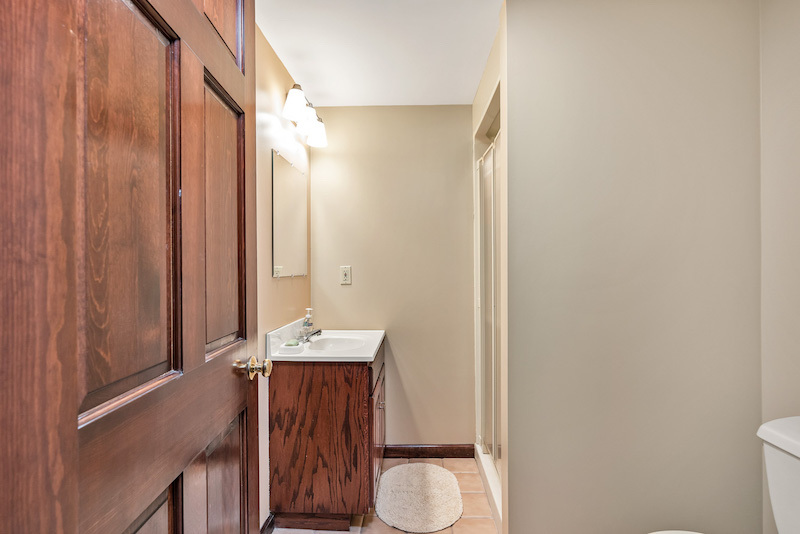 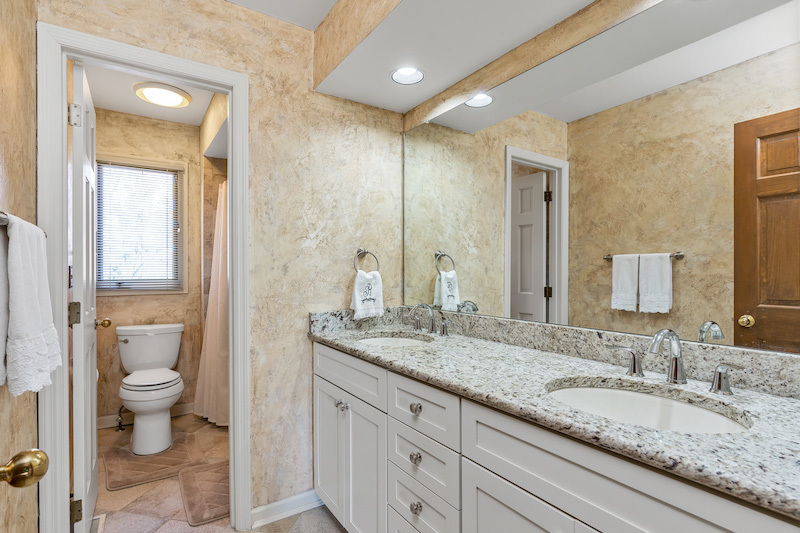 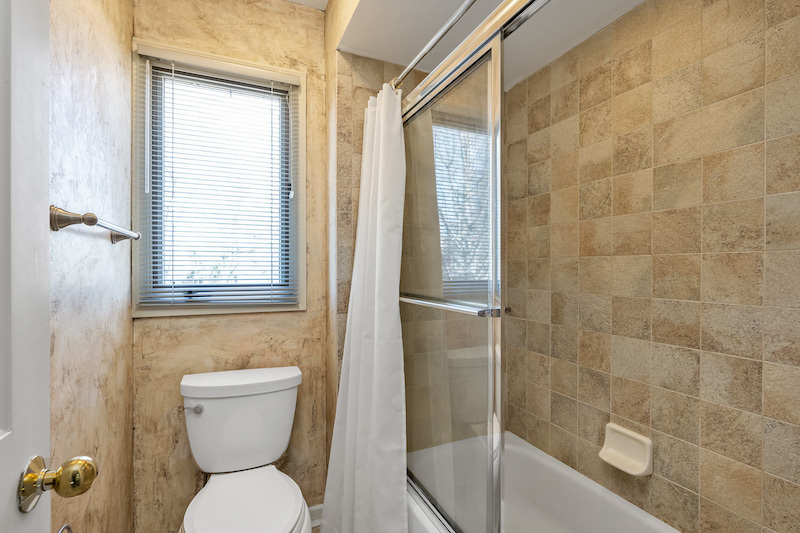 The second full bath includes ceramic tile floors, a tub/shower, and a double vanity. 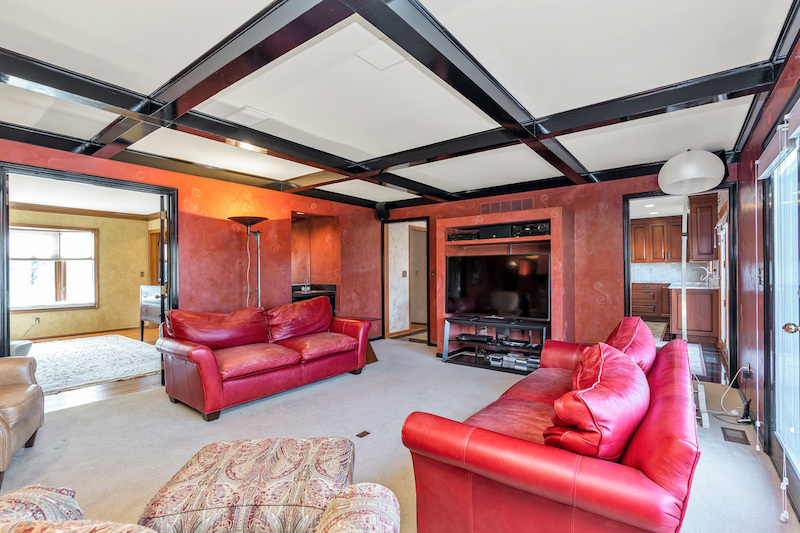 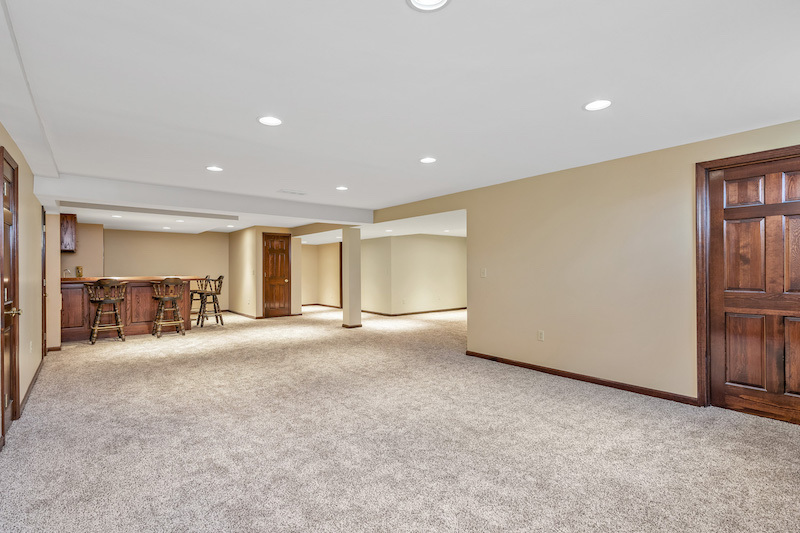 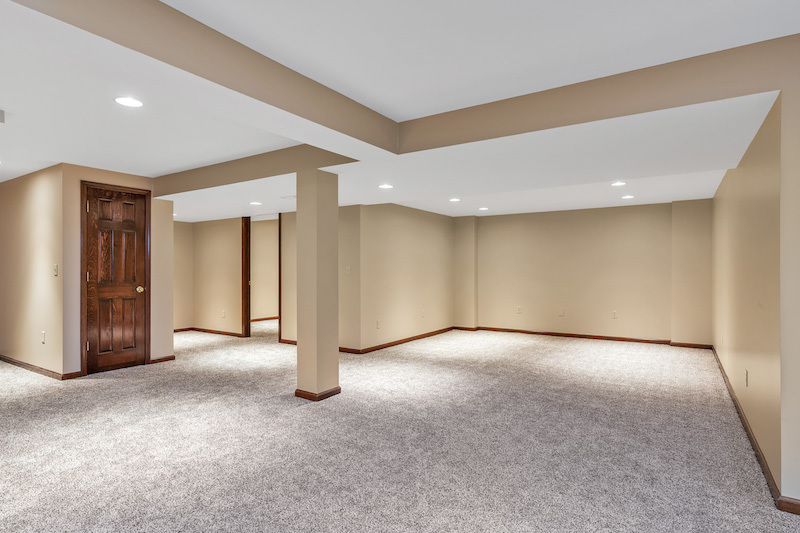 A large, open recreation room in the finished lower level can easily accommodate both a media room and game room as well as a separate kids play room. 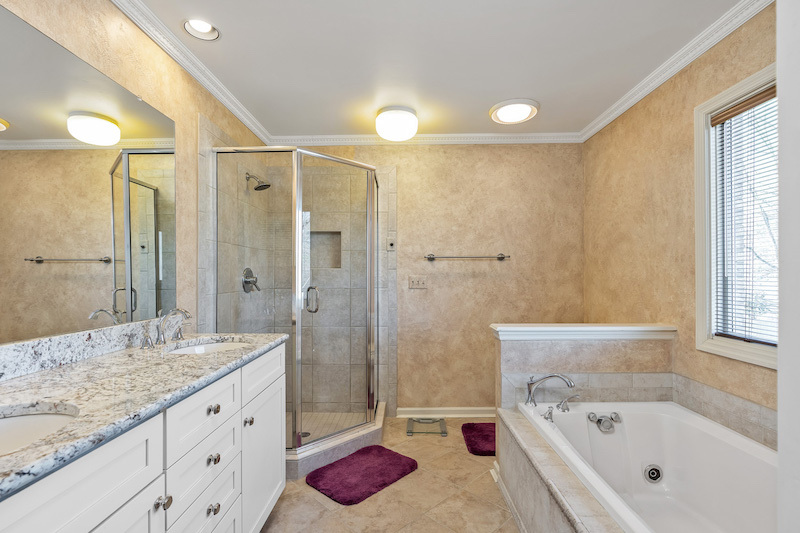 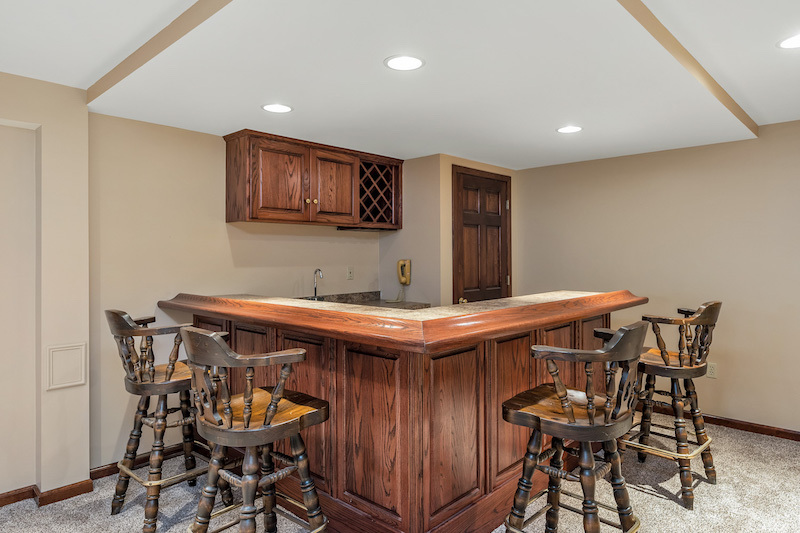 There is also a full bath and an additional flex bedroom for guests along with a full wet bar with counter seating. 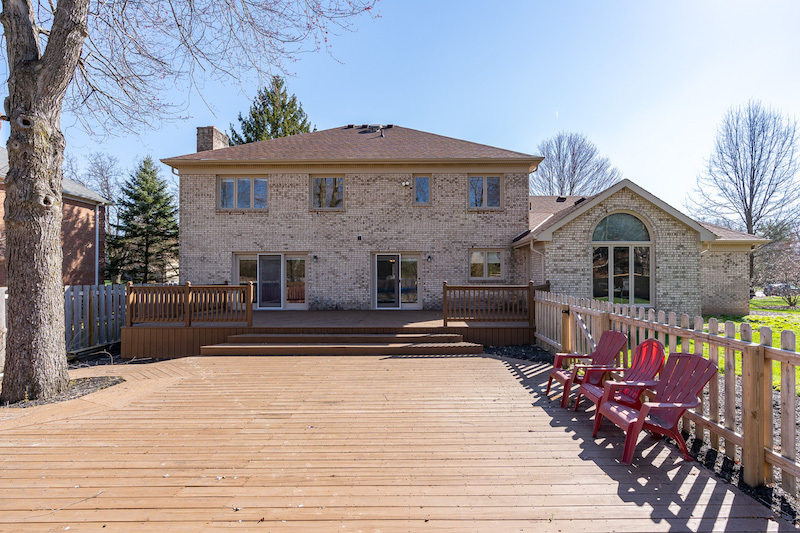 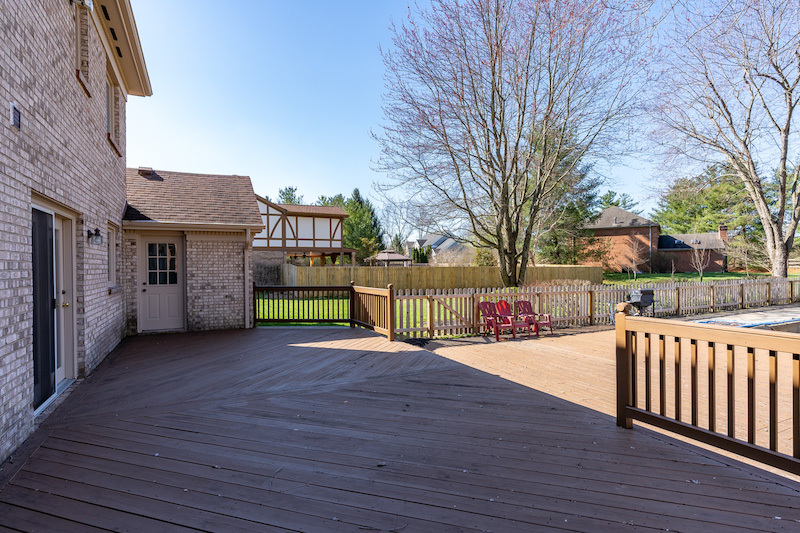 Outside in the backyard you will find an expansive, multi-tiered deck, inground pool, and a separate grassy space for play; so every day is a staycation!